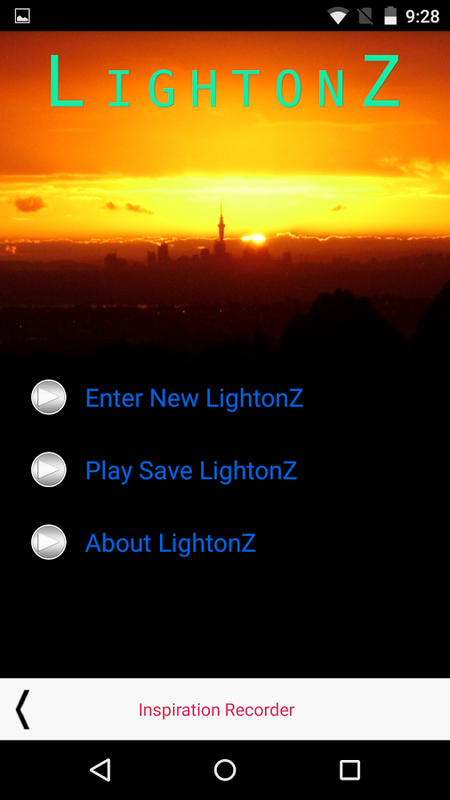 LightonZ is an application for Android that inspires and motivates each one of its users. The user can create his own declarations or even affirmations and ideas that will inspire and motivate him. Just like Pinterest, but better, because the inspirations are created by the user and designed by him. This app provides quotes, recording notes and many more, all for the inspiration of users. LightonZ is meant to inspire its users by displaying their own custom made or actually writer sentences and ideas, in such way that the users will be motivated and it will act like a boost for productivity and well-being in their like. Kind of like meditating, but within writing and reading your own creations. This application has some outstanding features for its kind. Not only it can help its users, but its declarations can also be designed and created by the user. The magnificent interface is the best when it comes to editing and writing inspirations, as it gives the user the option to adjust the font color and size. The back/forward icon allows the user to navigate back and forth to his declarations. The sound clips icon gives the user the ability to register his own words and to hear himself as he offers inspiration and motivation. The process of creating declarations on this app is so simple, that everyone can do it, even people with the minimal knowledge about technology. It is designed in such way that writing your thoughts down can be pleasant as well as entertaining, as it displays them on the screen whenever you need to see them. In order to write a declaration, the user has to click on the Enter LightonZ button and it will take him to an interface where he can type text or even copy and paste it. If the user wants to write his own words, he has to swipe up and the keyboard will be shown on the screen of the phone or tablet. 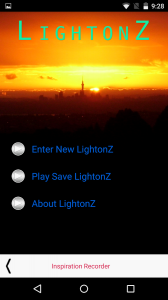 In order to play the LightonZ that he has created, the user must click the Play Saved LightonZ button and the animation will play immediately. Be aware that the animation is only 5 seconds long. If the user wants to save the LightonZ that he has created, all he has to do is to find the option when the animation is played and it will be saved as LightonZ_1, LightonZ_2 and so on. All in all, this application for Android tablets and phones can be your best friend when it comes to supporting and giving you some motivation to be productive. It can light up anyone’s day with the personalized messages and with the beautifully designed interface. 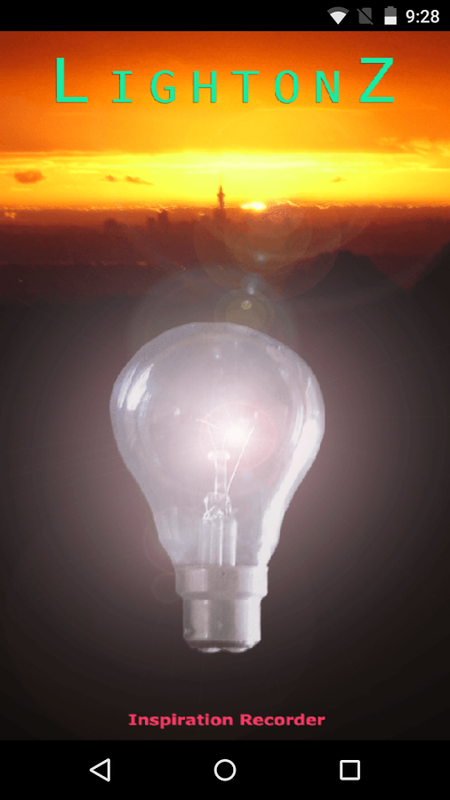 LightonZ is the key to having a day full of motivation and inspiring declarations, as they can be displayed any time the user wants to and needs to see them, only by playing them when selecting the Play LightonZ Button on the main interface of the app.